Those wandering through a street festival in Vancouver, British Columbia, earlier this month stumbled upon a vendor hawking a product that one might expect to elicit far more cries of "yuck!" than raves. 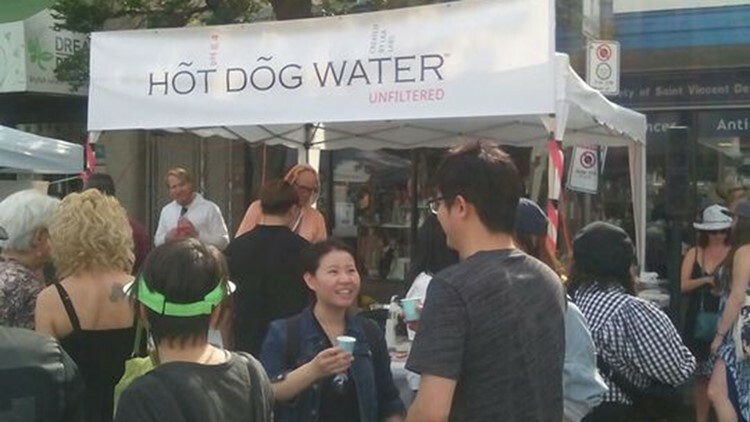 The banner that read: "Hot Dog Water, unfiltered." Instead of quickly turning and running in horror, dozens bought a bottle at the annual festival on June 17 -- about 60 bottles in all at $37.99 Canadian a pop, or about $28.57 in U.S. dollars, said the seller, Douglas Bevans. What started out as a joke appeared to be catching on. “Our Extractions Specialist are working round the clock to keep up with the consumer demand of our Revolutionary Healthy HõT DõG Water!” it reads. Bevans is unabashed in indicating the product isn't meant to be taken seriously. “Hot Dog Water in its absurdity hopes to encourage critical thinking related to product marketing and the significant role it can play in our purchasing choices," reads the fine print on the bottle. Bevans said he wants to make a statement about the modern era. "With clicks, likes, and social media combined with pseudoscience, we are particularly vulnerable when it comes to our purchases." 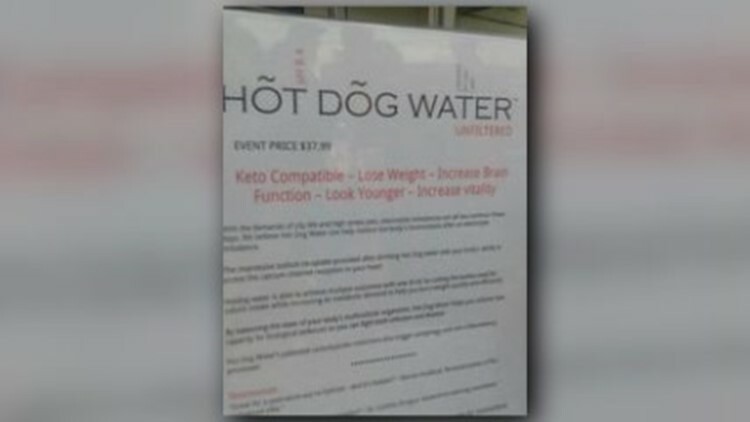 For the health conscious, Hot Dog Water comes billed as Keto diet compatible, helping drinkers lose weight, increase brain function, look younger and increase vitality. Not to mention, the weeny-flavored elixir claimed to correct electrolyte imbalances, and help fight infection and diseases. For those who wonder what the product tastes like, Bevan said jokingly, "If you’re at a yoga class, your perspiration is actually pretty close to the makeup of the Hot Dog Water." Surprisingly though, this isn't the first time a food-flavored H2O has caught the attention of consumers. Three years ago, Asparagus Water, which was exactly what it sounds like, popped up on the shelves of a Whole Foods supermarket in California. The $5.99 per bottle brew had just two ingredients: water and three or four stalks of asparagus. Whole Foods said the bottles were a mistake and pulled from the shelves soon after. Nothing about Hot Dog Water was accidental though. Bevans said the entire process was actually pretty well thought out. "Three years ago I started imagining how it could look and what might be the best venue and who the demographic might be." He said that growing up he'd hear stories about people drinking 'wiener soup' and that those stories stuck with him.